Even in an era of rap novelty hits, “I Left My Wallet In El Segundo” sounded special with its cool sample and absurd narrative. But then you hear the accompanying album with even better songs, all with cool samples and clever lyrics – “Luck Of Lucien,” “Bonita Applebaum,” “Can I Kick It?” No, this is not a novelty act. 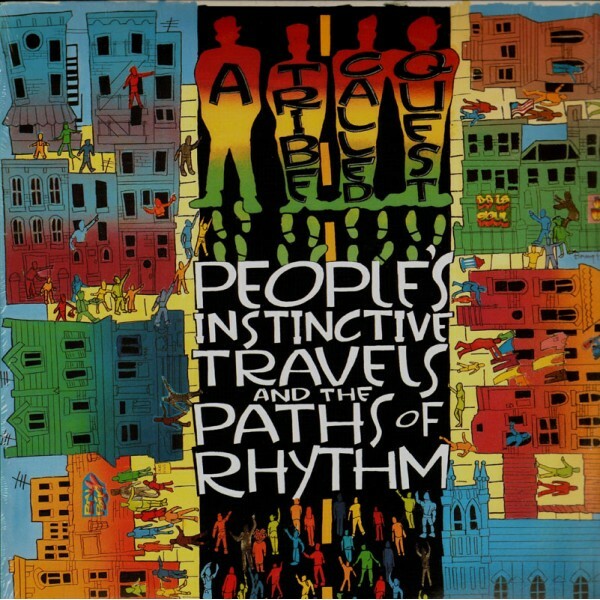 This is a smart, progressive hip hop album that still sounds fresh today. It has the atmosphere of a basement jam, a small collective of talented kids rifling through their parents’ records for grooves and sounds. Good thing their parents had good taste: Lou Reed, Richard Pryor, The Chambers Brothers, The Beatles, and on and on. The imperfections are part of its charm, and you can almost hear Tip and Ali learning to stretch out the sampler, matching up all sorts of disparate loops into a vaguely psychedelic sound. Not much Phife, some Jarobi. So this Q-Tip’s album vocally, with all of the witty, singsongy flows you might expect. Like a hip hop song, you know? Not their best, but their most creative and experimental.